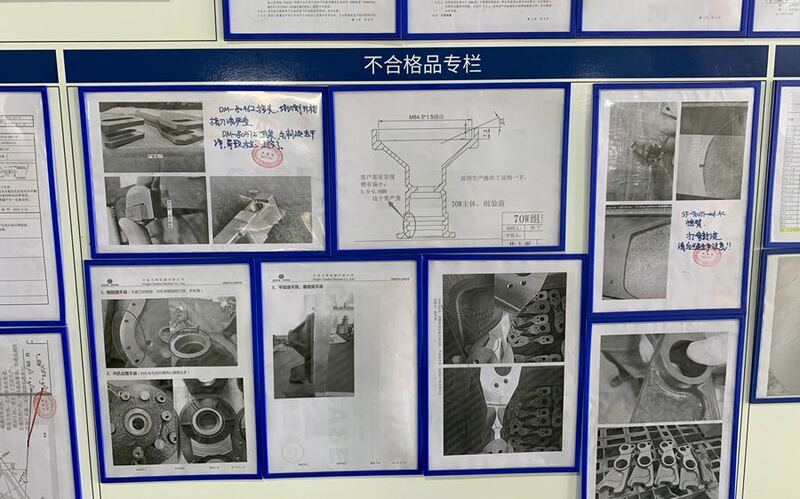 CNC Machining Quality management, is quality management during the whole CNC machining process, aims to ensure that machined parts are consistently meeting customer’s requirement. 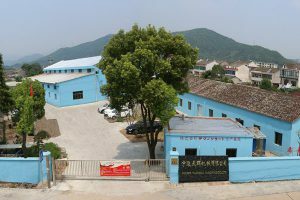 At our company, based on 10 years machining experience, We have established a workable quality management system, There are Quality planning, Quality control, and Quality Improvement. 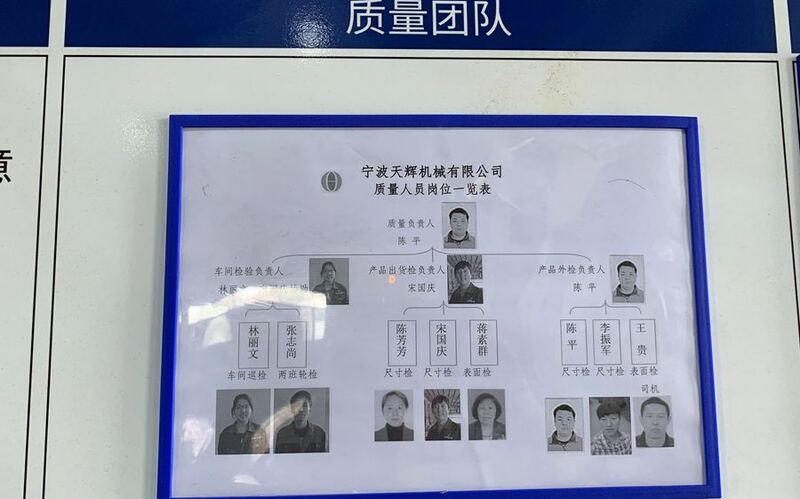 When we receive a customer’s order, Our sales department, machining department, Sourcing department, and QC department will sit down together to discuss this order. We will discuss all the details about this order, such as fixture design, measurement methods, and which supplier makes the blank, etc. 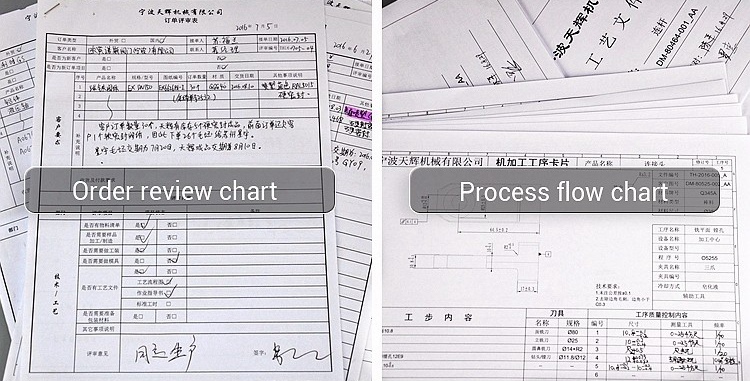 Then our machining department will make a process flow chart. When we receive the incoming materials, mainly are casting and forging parts, We will do the strict incoming material inspection. Only a qualified incoming material will carry out further machining process. At our machining shop, Every machining operator need do self-inspection, They must inspect their own product and record it. Meanwhile, our QC people will also do the in-process inspection, once the QC staff find the problem, We will do 100% inspection. 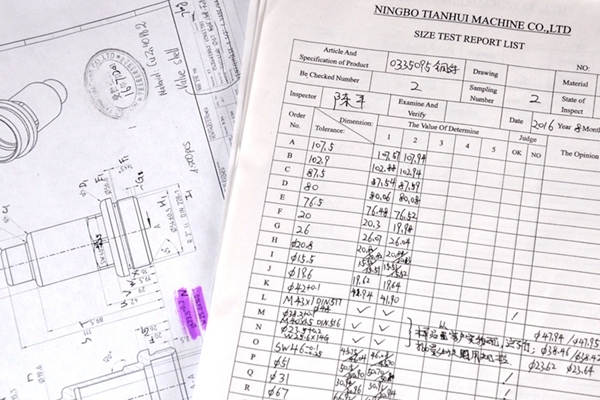 Our machining operator and QC staff do the in-process inspection and record it. 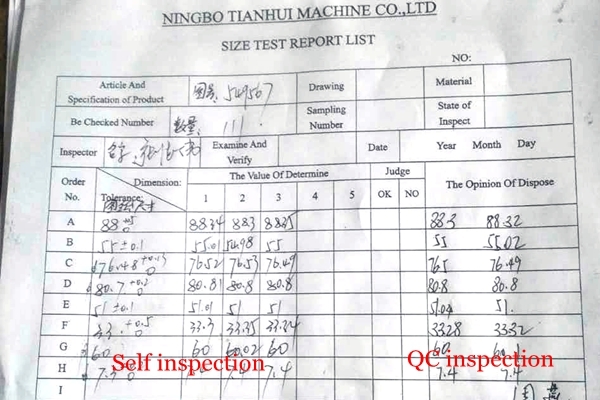 We also provide a final QC report to our customers. We have a professional quality team with a clear division of labor, Our full-time inspectors are responsible for incoming inspection, process inspection, and final inspection. When our QC department receive finished machined parts, We will do the strict final inspection. If the customer has a demand, we can do 100% inspection. We maintain a variety of records in the production process, including dimensional inspection records, incoming records, material composition, and heat treatment records. 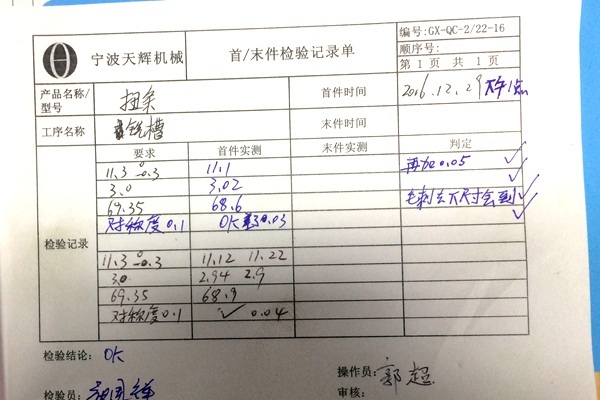 Once we receive a customer complaint, we can find the relevant records and find out the reason to improve the quality. Through our workable CNC Machining quality management system, We have the ability to provide quality machined parts to the customer.